"You have to create this kind of atmosphere, and then just take people with you in that world," says pianist Jean-Yves Thibaudet. "And it really is a magical, mesmerizing world with wonderful harmonies. It's quite unique. There are a lot of things when you hear them you know immediately it's Satie. He really had his own style." Jean-Yves should know, he's recorded the complete solo piano music of this eccentric 20th Century French composer. That box set was recently re-issued to mark Satie's 150th birth anniversary. "Besides the Gymnopedie and Gnossienne, which are beautiful, hypnotizing kind of melodies, he wrote so many different things," Jean-Yves says. "And I think this box is really well documented and prepared … it's all different periods in his life and it's fascinating to see where he came from." 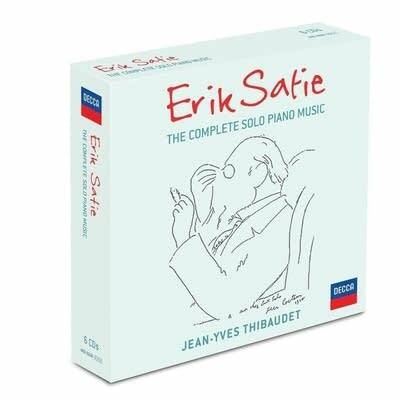 "The only thing written very often in Satie's music … it's not notes it's actually … not rhythmical or tempi things, but he'll just write sentences, phrases, that are so funny," Jean-Yves observes. "In one piece, he wrote, 'Play this passage like a monkey playing with a potato … scratching himself with a potato' or something like that. What is that supposed to mean? How does that give you an idea of how to make the music? To play a passage, how loud, how fast? But once in a while, you get into his world and they do make sense. I mean, you make sense out of them and you create your own little story and somehow it works. It's quite magical." Erik Satie was a dandy, always perfectly dressed with a bow tie, jacket and buttoned vest. In the end, he lived in a small room with an upright piano, in a poor suburb in Paris. "It really is a very sad story," Jean-Yves notes, "and then at the same time he wrote all this music, some of which is so joyful and happy and full of rhythms. And some of it that is very introspective  when you think of all the Gnossiennes and Gymnopedies. It's hypnotizing. He finds a way to completely grab your attention." Later in his life, as he began composing his Noctures, Satie noted, "I have reached a turning-point in my state of mind, and I am not enjoying myself." It sounds like Jean-Yves is describing that era of his life. "Yes, absolutely," Jean-Yves explains. "He went through some rough times but what a talent. He wrote all this music for the silent movies. So there were actually pianists and orchestras in the theater who'd be improvising as the movie was being shown in the theater which is amazing. They'd look at the picture and make it up as it goes. And he was doing that … and some of it he wrote. It's called Cinema. It's quite difficult … and he was doing that to make money, I think Cinema was the last work he composed." 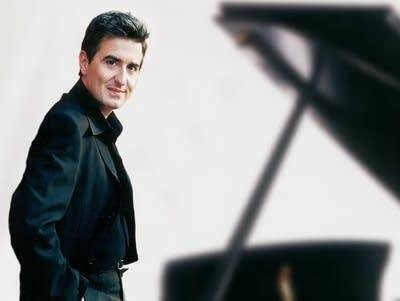 Recording all of Satie's solo piano music was an incredible journey for Jean-Yves Thibaudet; it took quite a few years. "It was a very enriching experience," Jean-Yves says. "And this is when I realized how important he was as a composer, much more than the light we have oh him is not fair … Debussy, Messiean, there's an entire generation of French composers that took from him. He was an important precursor to all of this music and even to jazz. I think of somebody like Bill Evans. I think he was very interested and fascinated by French impressionism and Satie in particular. There's something already kind of jazzy already before jazz times in Satie's music." What's interesting, too, is how Satie always followed his imagination. He didn't hesitate to explore all sorts of styles. "Oh yes for sure absolutely," Jean-Yves agrees. "All his life was to explore, see what he could do and I really think we have to admire that."